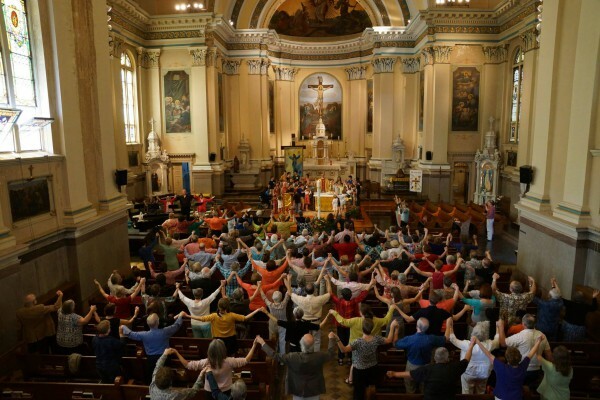 St.Vincent de Paul Church, Germantown – In Germantown for Good! St. Vincent de Paul is a faith community striving to live Jesus' gospel message of love, peace, and justice for all peoples. First Mass will begin at 8:45am. We will be 15 min early, with blessing of Palm and Outside Procession followed by Mass. Second Mass will begin at 11:15am. We will begin 15 min later, with Blessing of Palm and Outside Procession followed by Mass. 7pm Mass commemorating the Last Supper, with the Washing of Feet, will begin. Bring your rice bowls and a bag of non-perishable food. We will also have Adoration in Chapel, after Mass. 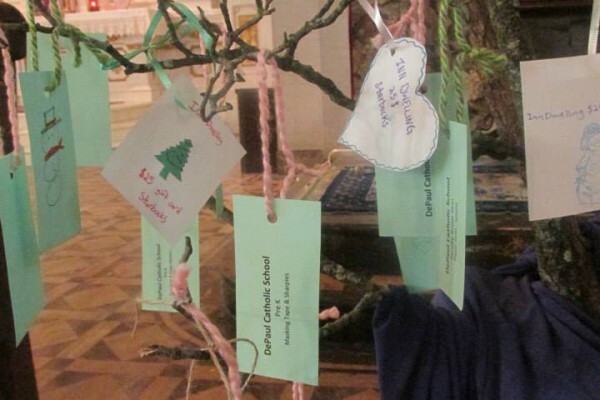 2pm to 3pm – Seven Last Words of Jesus from the Cross, with reflections by church members. Easter Vigil at 7pm. We begin in the church and then move outside for lighting of Easter Fire and blessing of Paschal Candle. Come into the church for readings, which tell the story of Salvation. Reception, Baptism and Confirmation of Grover and Thalia. (This is the most powerful and beautiful liturgy of the Catholic Church. It will last 3 1/2 to 4 hours. (This is Halleluiah Time. Please come to as many as you can and invite and bring friends. Dynamic Faith Sharing During Lent: These will be presentations given by inspired church members on a variety of topics, usually happening either Fridays or Saturdays. Catholic Lenten Services are as follows: Fridays: Adoration, in the Chapel, from 12pm to 3pm; Stations of the Cross, in the Church at 6:30pm. Rosary in Chapel, thirty minutes before weekend Masses. Adult Lay Formation Sessions will begin during the first full week of Lent. Topics, presenters and times will be announced. Father Sy’s Appeal for Hope: Fr. Sy will soon need volunteers to help mail out his African Appeal for Hope. If you can help, please call the office at 215-438-2925.
catholiccharjtiesappeal.org to make your donation today! supplement his Social Security by providing handyman services. If you need painting, or need an extra pair of hands with projects, please give Melvin a call at 267-745-9919. Second Collection: The second collection will be taken up for the Parish Retreat on the following dates: Jan 5-6; Feb 9-10; Mar 2-3; Apr 6-7; May 11-12; June 1-2; July 13-14; Aug 3-4; Sept 14-15; Oct. 5-6.
announcements as details unfold and as retreat sub-committees in need of volunteers are formed. Above all, please pray for the work of the Core Team, that we may open ourselves to God’s deepest desires for our faith community. “Please Pray for Sick” section in Bulletin: All friends of Vincent will be eliminated, since many have been in for two to five years. We will start a new list immediately. If you want someone on the prayer list, please contact the office with the names. Ministry Meetings after 6pm: If your ministry meets in the evening, please make sure your meeting is scheduled and the ministry head has a key or that someone will be in the rectory to open the door. Seeking Volunteers for Nov. 2019 Retreat: Good news! St. Vincent’s is planning a weekend retreat at the Malvern Retreat House, Nov 8-10, 2019. Those who were able to attend our 2016 retreat in Harvey Cedars remember what wonderful opportunities for faith sharing and community building a parish retreat provides. We will share more news in the coming months; right now, retreat co-chairs, Wiley Redding and Christine Eberle are seeking dedicated volunteers to form the Cor Team (Cor= heart!) This is a 15 month commitment to the planning process, including monthly meetings (generally on Saturdays) and committee work. We are seeking volunteers with passion and skill in the areas of Publicity, Logistics, Art, Hospitality, Program Design and Fundraising. Intrigued? Contact Wiley at wiredding21@gmail.com or Christine at christine0707@me.com with your name, phone number, and area(s) of interest. Please note: the Cor Team will kick-off our work together with a half-day retreat on Saturday, September 8 from noon to 4! Parish Pastoral Council: The Parish Pastoral Council has adopted a set of by-laws. You can read them here. One neighbor at a time, or maybe four, six or eight! We want to have dinners together because we really want to become a community of friends. We want to get to know each other better, and the best way to do that is to sit at the table just to enjoy each other’s company around good food and conversation. We propose to have dinners where members of the parish sign up for a meal without knowing who their hosts are, or even who the other guests will be, except for one other person if you want to go as a pair. We will start in June , and we hope by the fall everybody will be signing up enthusiastically as hosts or guests. The mechanics of how this will work will be explained next week. Meanwhile, if you are willing to host a blind dinner, please place a card with your name, some possible dates, and how many people you can host, but do it secretly! You will call your mystery guests and give them details. 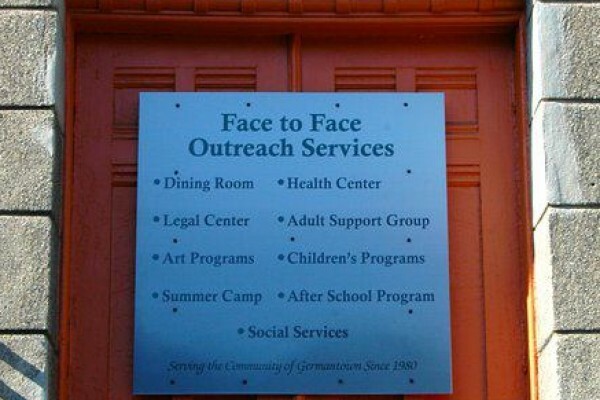 Perhaps ask them to contribute a simple dish, bread, or an appetizer for the meal. Perhaps just bring their appetites and their good will. It is very likely that we will all make new friends, and that our Parish will be come stronger, a true people in community. Business Owners: Please consider advertising in our bulletin. For more information, call the rectory office. Bible study resumes this week. Join us, on Wednesday, at 7 pm,as we study the prophet Isaiah. No experience necessary. Bring your own supplies. Do you feel called to the priesthood? Would you like to learn more about becoming a Vincentian? If so, please visit MenOnAMission.net, a resource put together by the Vincentian Vocation Ministry. St. Vincent de Paul Crew-Neck Sweatshirts are for sale! They are $20.00. Order forms available in pews & on tables at church entrance. Order forms with cash payment due to Joan McGowan by November 11 (to get delivery in time for the holidays!). All profits benefit the 2019 Parish Retreat! 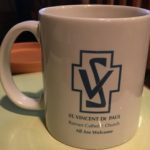 St. Vincent de Paul Mugs are also for sale! They are $10.00, and the sale starts October 27, before & after most Masses. Great gift for any occasion!! 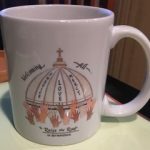 All profits benefit the 2019 Parish Retreat! Parishioner, cantor, and petition-writer Christine Eberle’s first book, Finding God in Ordinary Time, is being published in September by Green Writers Press. Come celebrate with a reading and book signing after the vigil Mass on Saturday, October 6! Starting at 5:30, Christine will give a brief talk in church, read excerpts from her book, and answer questions; then we will adjourn to the rectory for wine & cheese, dessert, and book signing. Christine will also sell and sign books at hospitality and following the 11:00 Mass on Sunday, October 7. You can learn more about Finding God in Ordinary Time at christine-marie-eberle.com/book. Parishioner Mary Ellen Graham was the subject of a wonderful article on the site “The Daily Good.” Read the article here.